Fantasy Flight Games is proud to announce the upcoming release of the Razorwings Reinforcement Pack for BattleLore Second Edition. 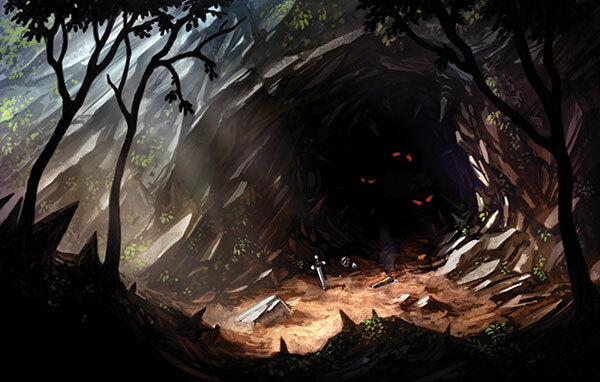 Those who dwell in the hills of Terrinoth have long dreaded the nocturnal Razorwings, swift batlike creatures who swoop down from their cavernous lairs and bring sudden death to their unsuspecting prey. Now, these vicious beasts join the range of wild creatures that you can harness as part of your BattleLore army. Like the recently announced Mountain Giant and Great Dragon, the Razorwings can by utilized by any faction, but you can channel their relentless ferocity in battle and use it to thwart your opponents. The Razorwings Reinforcement Pack contains three detailed plastic figures, the cards you need to muster this unit in your army, three new lore cards to customize your lore deck, and a new cavern terrain tile. It also includes a pre-built scenario featuring this new unit and offering unprecedented strategic challenges. During the day, Razorwings rarely emerge from the darkness of their caverns. But at night these bloodthirsty creatures speed through the air, ravenously hunting for victims to feast upon. Razorwings ignore the combat and movement restrictions of hexes, soaring easily through forests, over rivers, and above other units on the battlefield. Once a target is within reach, they abruptly descend, tearing and slashing at their prey. A unit of Razorwings can slaughter an entire unit of three health with a single attack – and they're still not finished dealing out damage. With their brutal, heavy claws the Razorwings can then stun another nearby unit, rendering that unit motionless and marking them for a future kill. If you muster Razorwings as part of your army, you can replace a hill on your part of the board with a cavern hex where your Razorwings will lurk. During your Attack step, an ordered Razorwings unit may rush out of the cavern to an adjacent hex and perform an attack. Then, before the attack can be countered, the Razorwings can fly back to their cavern. Once inside, the Razorwings are safe from all non-adjacent units. Because they are able to assault even the most powerful units without fear of immediate reprisal, the Razorwings are among the most efficient and deadly predators of BattleLore. The Razorwings Reinforcement Pack includes a pre-built scenario, A Shot in the Dark, that showcases the abilities of these incredibly vicious beasts. Unlike scenario cards, which shape only half of the battlefield, pre-built scenarios shape the entire landscape and create a unique objective for each faction. In A Shot in the Dark, a group of Daqan units must traverse hostile territory, bounded by rivers and Uthuk Y’llan on either side. Razorwings also lurk in the hills, eager for fresh victims. It will take several days for the Daqan to reach safety, and at night, the Razorwings come out of their cavern to hunt. The scenario alternates between day and night each turn. 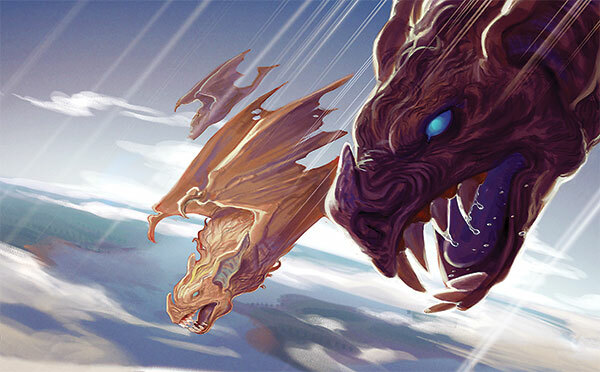 Every night the Razorwings reappear with full heath and attack, every day the Daqan regain the upper hand and move forward, striving to eliminate any opponents they can find. The goal for the Uthuk Y’llan, with the help of the Razorwings, is to kill as many Daqan troops as they can. The Daqan seek to reach the safe haven that lies across the battlefield, and to rid this region of the rapacious Razorwings that menace its people. If they can accomplish either, they will achieve victory. Deploy Razorwings in your Daqan forces together with the massive Roc Warriors or alongside the Siege Golem of the Hernfar Guardians Army Pack in order to terrorize the Uthuk Y’llan from the skies. Or, match Razorwings with the burrowing Doombringer of Warband of Scorn in your Uthuk Y’llan army, so that you can threaten the Daqan simultaneously from both above and below. Whichever faction you play, the Razorwings’ savage and sudden assaults will fill your enemies’ hearts with fear. The Razorwings Reinforcement Pack will be available in the second quarter of 2015. In the meantime, visit the BattleLore Second Edition website for more information and details about other upcoming expansions. Set in the vibrant fantasy realm of Terrinoth, BattleLore Second Edition is a board game of intense, squad-based warfare for two players, pitting the strength and military challenge of the noble Daqan Lords against the bloodthirsty brutality of the Chaos-worshipping Uthuk Y'llan. You command armies of fearsome warriors and deadly creatures, devising your strategy as you lead them against your foe!